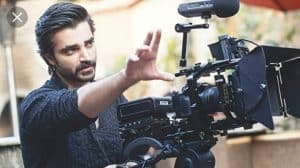 It was Hamza Ali Abbasi’s birthday yesterday and a good time to celebrate a man who has made a mark in more than just acting. A man who is too verbal for his own good and too opinionated for this diplomatic media business. Nonetheless, we need him and more like him to keep it real. To know that actors are not merely dolled up puppets, they are human beings who happen to be the in the profession of acting, and when they are not doing that, they are being themselves, they are talking about life and issues and politics and everything that comes in between. 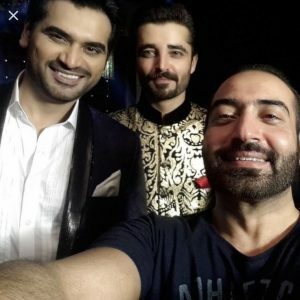 Hamza Ali Abbasi is certainly one of a kind. Not many would stick their necks in places that he does. As he enters into the thirty fourth year of his life, let’s look back at his acting career, the controversies surrounding him and the things his peers say about him. He started his journey with theatrical plays and got noticed by the makers of main hoon Shahid Afridi. Who would have thought that the short tempered Pathan in it would be so popular on screen one day. Later, it was Bilal Lashari’s waar that brought Hamza to light once again. 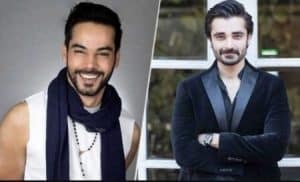 After an year, he appeared in Humayun Saeed’s jawani phir nahi aani. That was the first time we got to know about Hamza Ali Abassi’s straightforwardness when he openly denounced the movie due to its bold scenes and refused to take part in its promotions. The film, nonetheless was a success and made Hamza prominent to producers and directors. 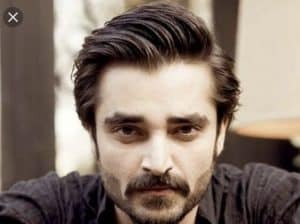 On TV, Hamza has given some very powerful performances in Pyaraay Afzal and Mann Mayal. Later, we saw him in a supporting role in Ho Mann Jahan. He wanted to make a directorial debut with his feature Kambakht but that did not happen due to the strong criticism against his political outbursts. Nonetheless, Hamza is still very active and verbal on social media and keeps a very strong presence in all genres of it. 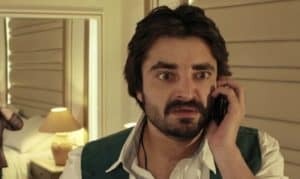 He is one of those people for whom you say, love him or hate him, you just cannot ignore Hamza Ali Abbasi or pretend he is one of the typical models or actors for whom everything is about keeping appearances. With Hamza, you get much more that good looks and husky voice; there is intellect, thoughtfulness, wit and humour. He is also very well respected and appreciated among his peers, who speak of him as a very passionate friend who would go to any lengths for his near and dear ones. “”If Hamza was a girl, I would have married him in a heart beat (laughs)! But bro good, bad, ugly whatever the situation is, I have always got your back. God bless you”. So for all his controversial purposes and intents, we wish Hamza a very good life ahead and hope he is here to stay.. for keeping the screen sizzling with good looks and the social media on fire with his statements. happy to you Hamza.. ?? ?